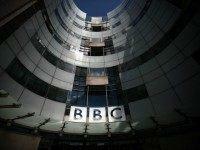 Tyson Fury vacated his WBA and WBO heavyweight titles on Wednesday as he receives treatment for mental-health issues. 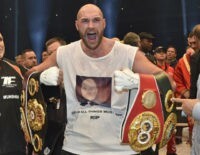 Heavyweight champion Tyson Fury admits to doing “lots” of cocaine but characterizes his critics looking to strip of his titles as partaking in a “witch hunt” that seeks to destroy him. Tyson Fury, the colorful heavyweight champion of the world, tested positive for cocaine in a screening administered last week. 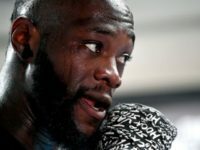 Deontay Wilder delivered Budweiser to bars and pancakes to tables not too long ago. This weekend, he delivered pain. Heavyweight champion Tyson Fury throws down in his hometown for his first title defense this summer. 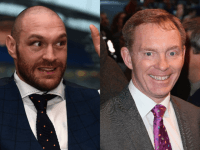 A gay Member of Parliament has written an open letter to boxer Tyson Fury — the heavyweight champion of the world known for his socially conservative views on homosexuality, women and abortion — proposing they meet for a “training session”. 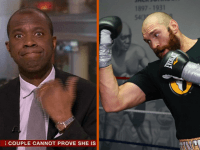 One BBC presenter called Tyson Fury a “d—head” on the air and another called himself “ashamed” to work for the broadcasting behemoth after it nominated the colorful, charismatic, and controversial heavyweight champion for its Sports Personality of the Year award. 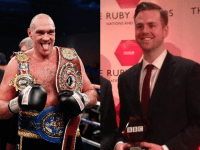 Greater Manchester Police investigates heavyweight boxing champion Tyson Fury for a hate crime as a result of recent remarks about homosexuals, pedophiles, women, and abortion. Tyson Fury shocked the sports world by upsetting Wladimir Klitschko on Saturday. Then he upset much of the rest of the world through shocking comments. Tyson Fury taunted Wladimir Klitschko as an “old fool” in his Batman persona before their heavyweight championship bout. 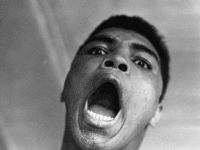 During Saturday’s fight, the mouthy Mancunian made Klitschko look old if not exactly a fool. Wladimir Klitschko regularly deals with jokers. For the first time in his career, he encountered the Batman.